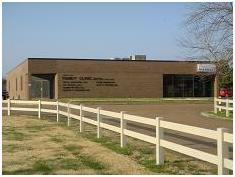 Lawrence County Family Clinic P.A. Welcome to the Lawrence County Family Clinic Website. The purpose of this website is to provide you with information related to our services and other local and regional healthcare services. We also intend to provide you with general information to help improve your healthcare and to guide you to reliable health information resources available on the internet.